can't wait to share this finish with you all. ps. if you are on instagram, come say hello -- i'm canoercreations! It looks awesome.. I'm going to look you up on Instagram! 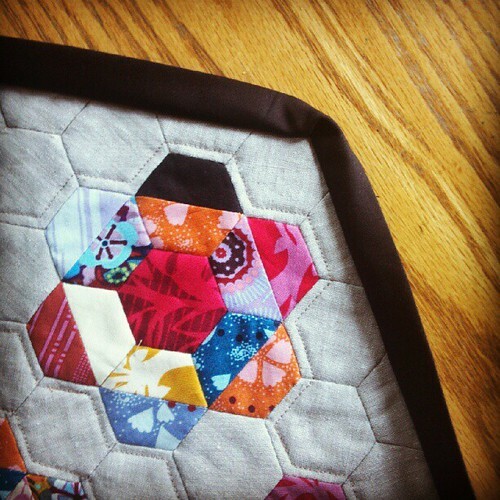 Your pieced Hexies look great, Megan! Can't wait to see the whole project.